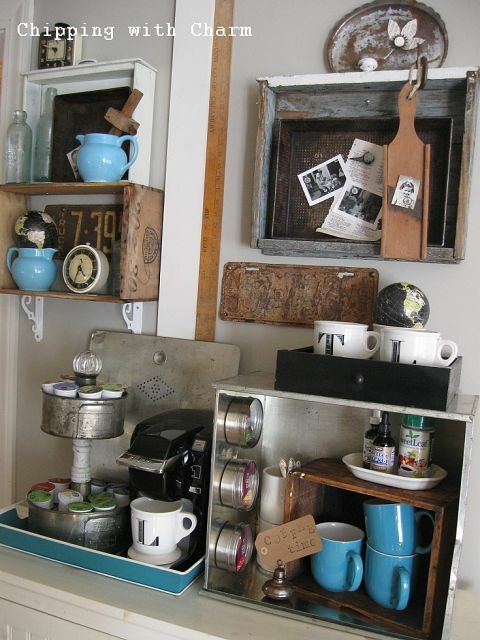 Creative DIY coffee stations are a little near and dear to my own heart. That first morning sip is pretty sweet, but add a pretty area designated for it and you have something pretty special indeed! 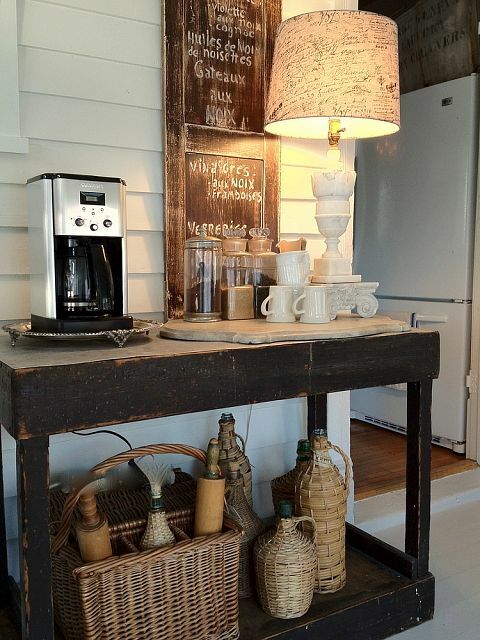 A cool side table, a lamp, and a shutter creates the most delightful little coffee getaway ever! Michael’s shelves are blog iconic by themselves, but you know the coffee station idea got me! Just a few shelves over top a side table can create an instant place to serve up that brew! Love the vintage wood ironing board as an extra shelf. Laurel goes a little crate and old drawer crazy (good news for us!) 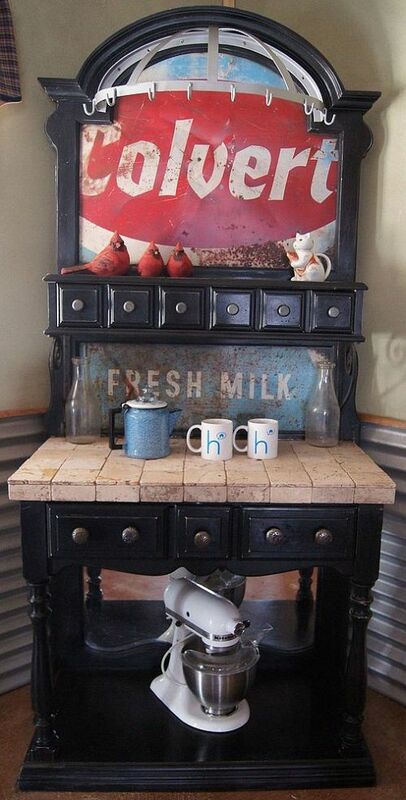 and ends up creating this cool coffee station any junker would fall for! 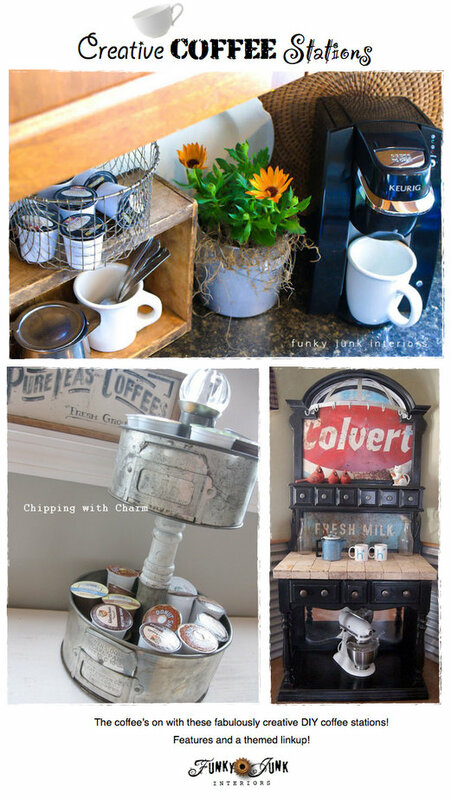 Here’s a fabulous collection of amazing DIY Coffee Station Projects from Hometalk all in one easy to read clipboard! 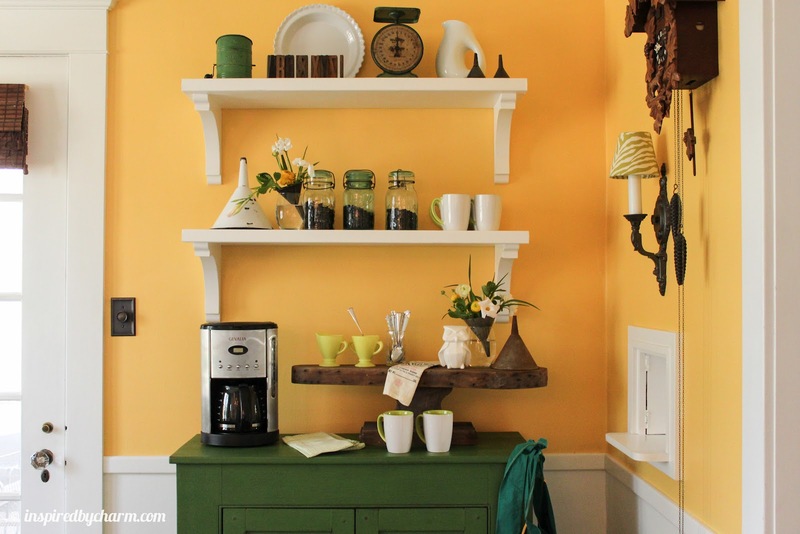 Got a great creative DIY coffee station? LOVE the tool box on wheels. What could be better ! Jim’s 2nd Hand in Hope sure looks great. 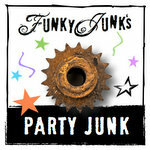 Thanks again for hosting Party Junk. Thanks for hosting the party again this week. No coffee station here. I get my caffeine from my Coke Zero 🙂 Have a great weekend and find some cool junk! I love those features oertaining to coffee, my very fav drink to have!!! Thank you so much for this great party. Have a wonderful weekend. 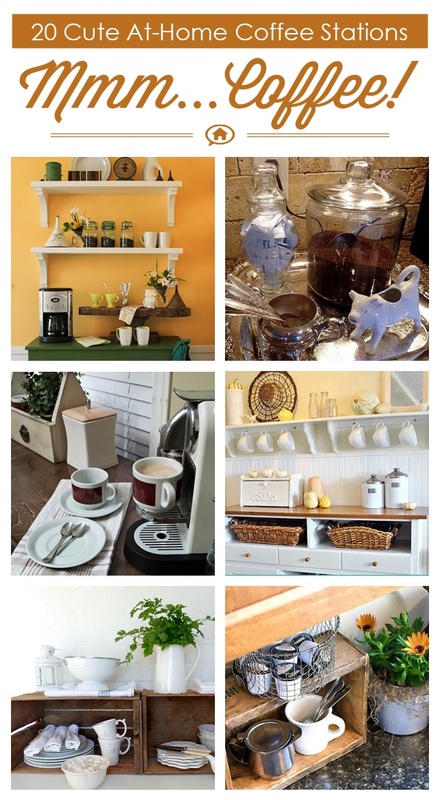 Fantastic coffee stations! I’m always amazed at the creativity out there. Thanks for the party, Donna! Oh my goodness… all of them would help my mo-“joe”! I think you should just start blogging for me… LOL Thanks again for the amazing eye candy! LOVE coffee stations! You’ve shown such good ideas. I have a triple cake pan tower that I use in my studio and it works awesome. 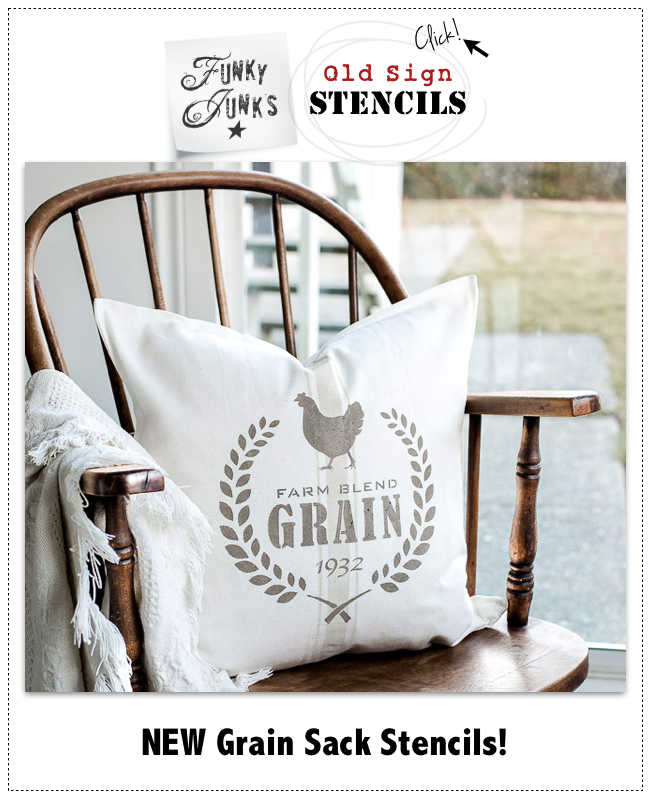 Perfect for the coffee do-dads! 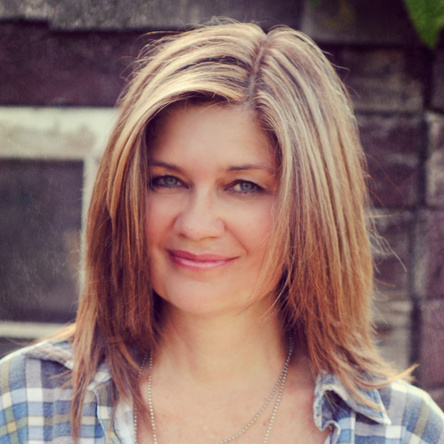 Thanks for sharing all these great ideas with us Donna!! Thank you for the awesome party!!! I. COVET. EVERY. SINGLE. ONE. OF. THESE coffee stations! Every stinking one of ’em. Thanks for the lovely party! Have a great weekend! These coffee stations are so awesome. I’ve never really thought about doing one. 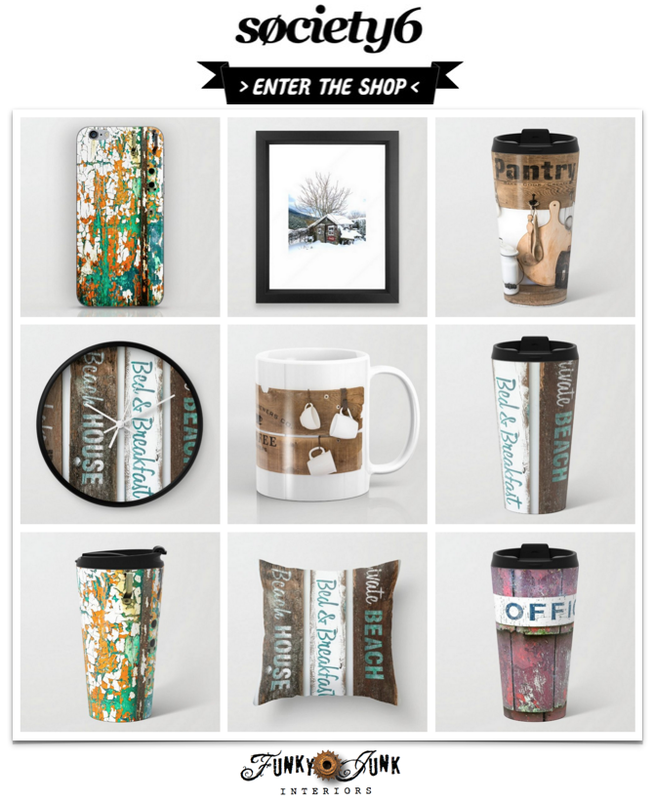 Most of these make you feel like you want to cozy right up with some coffee. I do display different percolators I’ve had and used across the top of my stove. Thanks for hosting such a fun party. All the ideas are awesome. Donna IM in LOVE with the black coffee station with the cardinals!!!SWOOONNN!!! Thanks so much for hosting! Thank you for the inspiration! In transforming a kitchen closet into a pantry, I noticed that there was an electrical socket, so I sized one shelf to fit my keurig and carousel to be a coffee station that freed up some counter property! I love it so much! I’ve added a china sugar bowl, spoons, and a couple of special mugs.